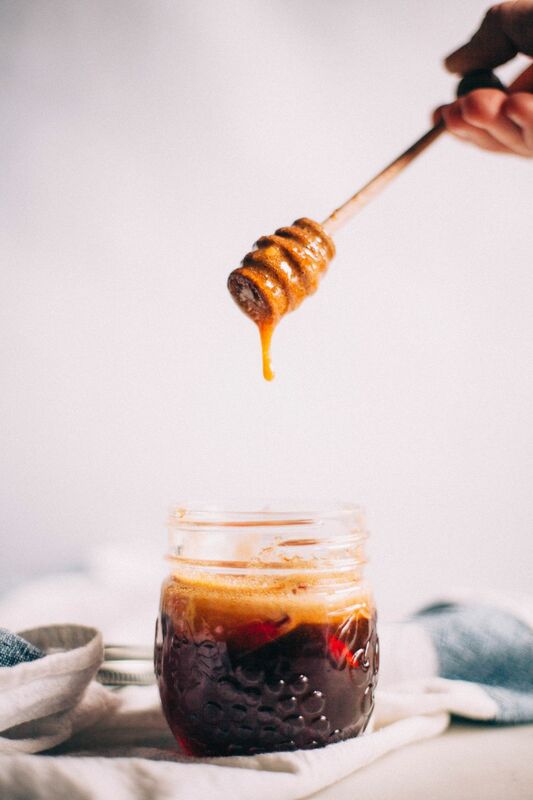 There’s something magical about the sweet and spicy of Hot Honey. It would be a great homemade gift! I’ve been thinking a lot about Christmas and feeling for the first time ever that I don’t really want anything. I’ve actually been struggling to come up with things I want or need, which is an unexpected change in me. You know what I would love? Time with friends and family. Maybe a homemade gift or an ornament that I’ll always remember someone by. I’m getting sentimental as I get older, and I want to focus all my energy on not wanting things but on contentment! I basically try to turn everything into a burrito. Give me any ingredient and I’ll show you how to wrap it in a tortilla and cover it in cheese. Breakfast foods are the easiest. Tell me what Mexican dish doesn’t taste amazing with an egg on it? 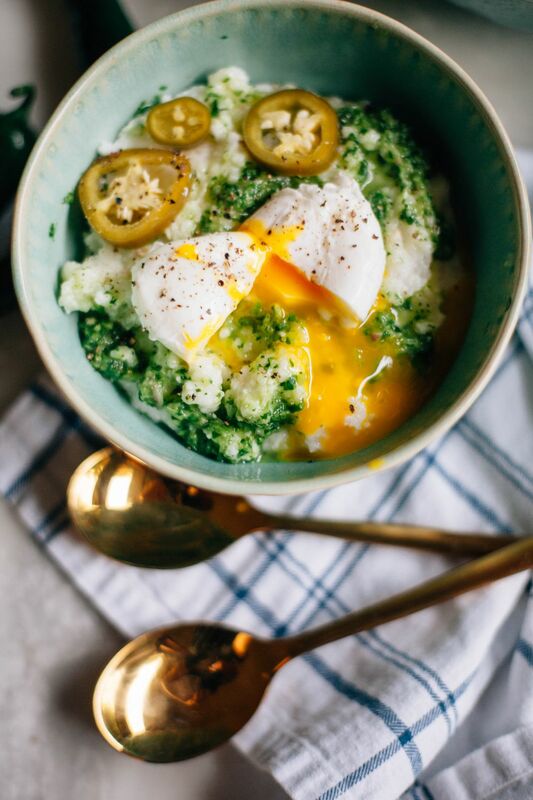 So when I thought of making grits this weekend, my second thought was CHIMICHURRI. The best sauce ever–like if pesto and salsa had a baby. Just cilantro, shallots, and oil blended together to perfectly complement my cheese grits. It’s finally beginning to feel like fall here! We have been suffering through the dregs of summer in the ninety degree heat all week until now. I’m taking advantage of the chilly weather and drinking a delicious spicy hot cocoa. Despite not having a fire pit, we do have an outdoor swing where we can sit and enjoy a beverage and look at all the fall leaves. We have so many hundred year old trees turning orange and yellow in our neighborhood, so autumn is quickly becoming my favorite season at the new house. 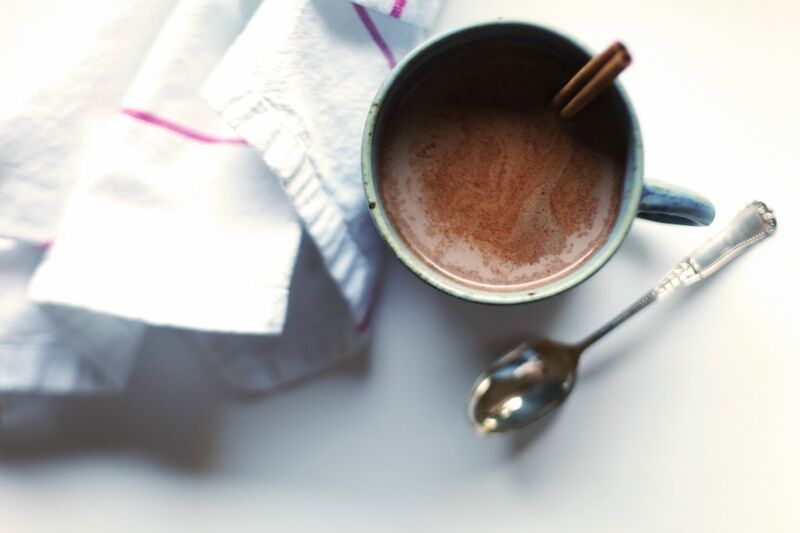 This recipe is a nice twist on the classic hot chocolate. I used spices I had around the house to give it an upgrade, and it was wildly different than anything I’ve had before. Sam and I are both spice lovers, so when I was thinking of a fun fall drink to shoot, I knew I wanted it to have a spicy twist. 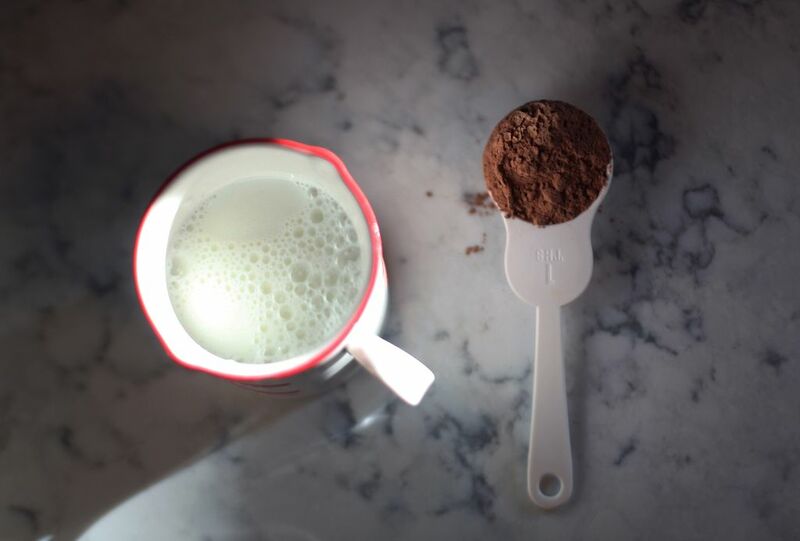 No more boring hot chocolate! You can cut back a little on the cayenne pepper if you’re not into too much spice. It has a real kick with a half teaspoon, so maybe go easy to start out. Sam was my assistant on this shoot. You can see him above pouring the milk. He’s been so nice to me today, taking me to the extremely crowded flea market and leaving empty-handed… Thanks Sam! 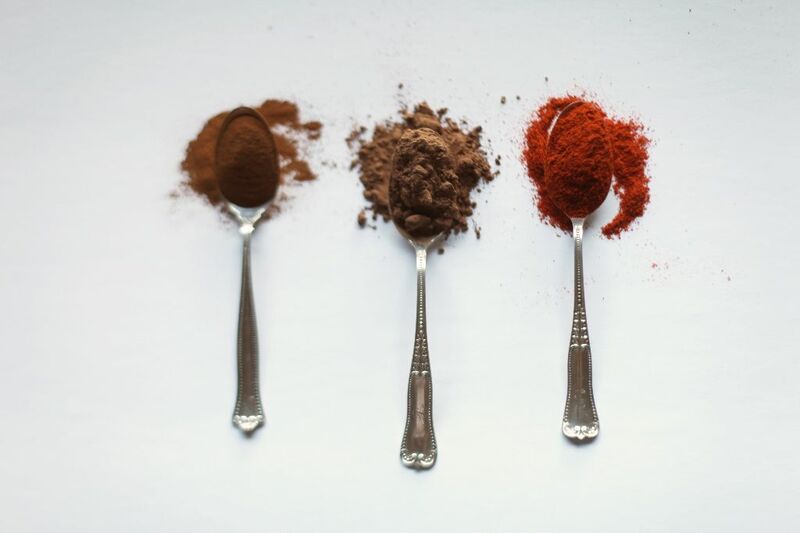 In a medium saucepan or pot add the cocoa, sugar, cinnamon and cayenne pepper. Stir with a whisk until mixed. 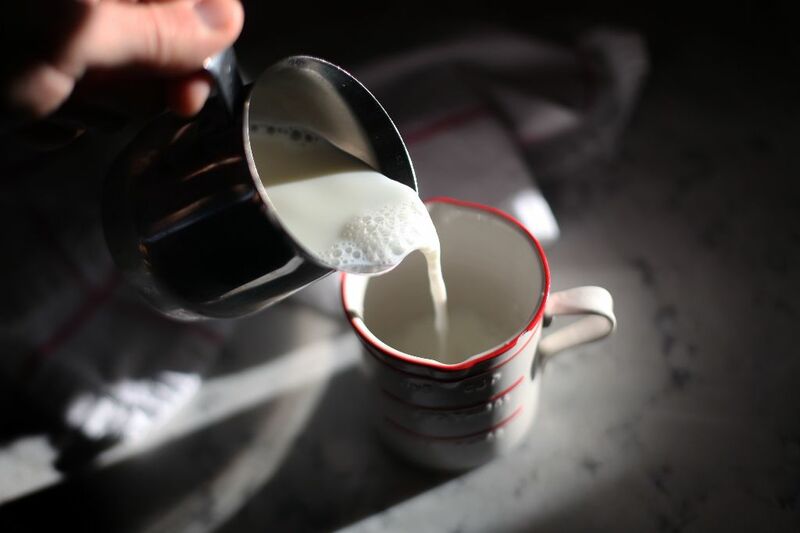 Slowly whisk in the milk to avoid lumps. Once integrated, bring to up the heat slowly, whisking continuously until heated through. *Special thanks to Kari Kinder of Kairos ceramics for the gorgeous mug!